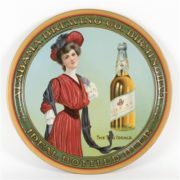 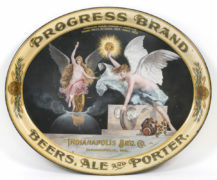 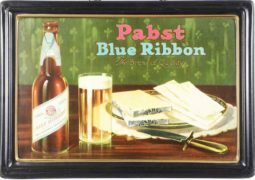 This is a colorful National Brewery Company tin serving tray from St. Louis, MO, circa 1 910. 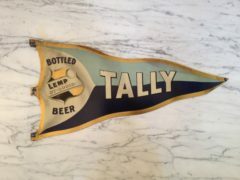 This tray features their company factory and also shows a blob top bottle with a paper label for their White Seal beer. 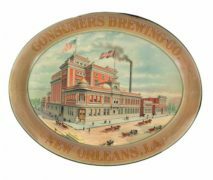 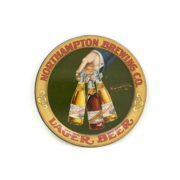 The tray’s rim highlights their other primary brand names on the edge in gold lettering. 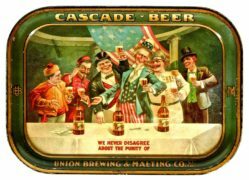 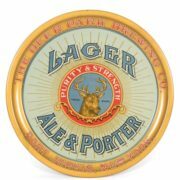 These brands include Pilsener, Muenchener, Standard, Extra Pale, National Export, and the White Seal Brand pictured on the right side which was their best seller. 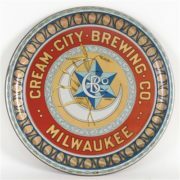 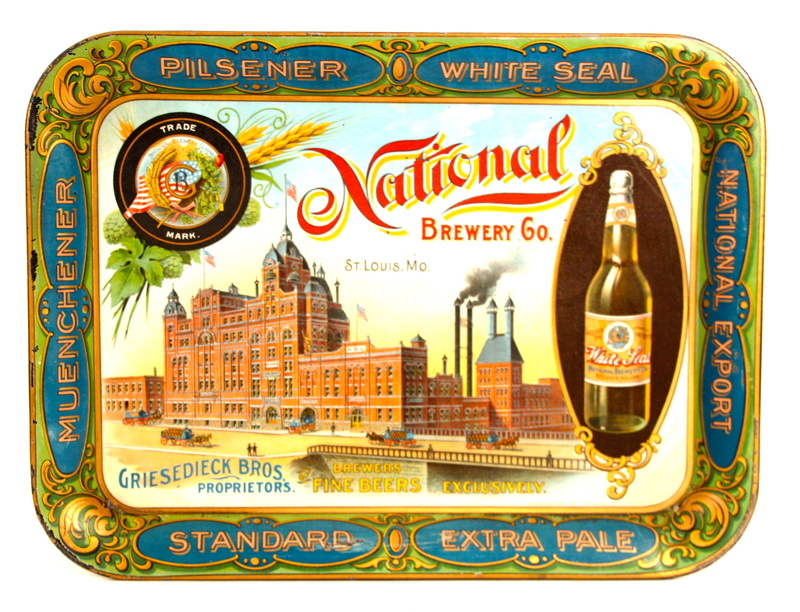 The National Brewery was owned by the Griesedieck family which also owned the Western Brewery in Belleville, IL and the Central Brewery in E. St. Louis, IL before prohibition.